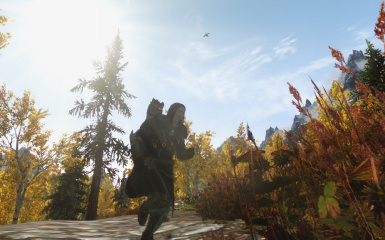 I've always felt that Skyrim has had few options in the way of increased movement speed. Nothing says power more than a fast predator. 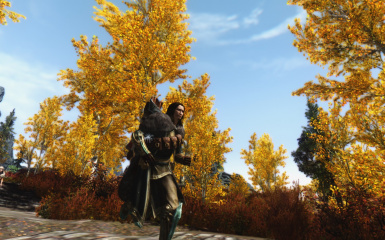 This mod will increase your movement speed by a percentage every level up. Thus, a level 50 character will much faster than a level 1 character. Now added with 3 different versions: 1%, 0.5% and 0.25% increase. Speed is often indicative of power. I have always missed the feature of increased speed as the levels increase in Skyrim. 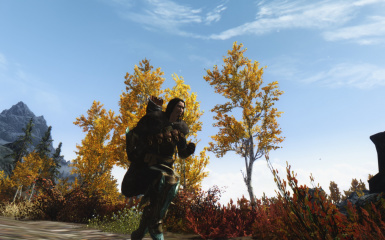 Thus, the higher level, the faster your character will become with this mod! This mod will grant you an increase in movement speed upon level-up, making you faster and faster as you progress through the levels. There are three options: 1%, 0.5% and 0.25% speed increase upon level-up. If you are a high level character, you might want to choose 0.25%, as the speed might become too much. This will also work retroactively, meaning that if you have already leveled up a bunch, you will get the corresponding speed, as if you had installed the mod from level 1. Should be compatible with everything, since all the mod does is adding 0.25 0.5 or 1.0 points to the speedmultiplier function upon level-up, no matter what your current speedmultiplier already is. Apocalypse Spell Package, and its concentrative speed buff spell "Amalexia's grace". Requiem (This mod doesn't change the speed per se, but has a ton of changes to the game-play). Extract "Make Haste.esp" into the Skyrim/data folder. Also extract all Scripts to Skyrim/data/scripts. Don't forget to activate the mod in the Skyrim pre-launcher, under "Data Files". There are no current known/reported bugs or issues with this mod! 1. Add an uninstall button with MCM, to allow people to revert the effects the mod has, before removing the mod. player.setav speedmult # Where the # = Your desired value (Standard is 100). (This will simply set the speed multiplier to your applied value). Remove Make Haste.esp from the Skyrim/data folder. Remove all the scripts that are included in the Make Haste.rar file under Skyrim/data/scripts. Thank you for using my mod, and don't forget to check out my other mods down below!